Charles Idonije is the founder of Africa’s Largest Agricultural Social Network and a WebTV that promotes Africa’s natural resources and businesses,RICHAFRICA TV. In this interview with DAYO EMMANUEL, Idonije reveals his next project, a reality show captioned STREETSCEOs, designed as a 24-hour tech reality TV series for startups and entrepreneurs in the IT industry to network and benefit from brainstorming sessions. According to him, Nigerian youths need all the empowerment they can get. Can you enlighten the public on your project, Streets CEOs? STREETCEOs is a 24-hour Tech reality TV academy series for Tech Startup founders all over Africa and Africans in Diaspora. The whole Idea is for Tech founders to network with panels of venture capitalist and angel investors pitching ideas. It gives a level playing field for tech founders to hear first hand what investors think about their concepts and how it meets investment expectations. Each season is setup to have 25 cohorts for the 60 days 24-hour Live show with beehive of activities, i.e. master classes, Psyche task games etc. Every week Business executives cutting across Africa and they will be coming to the boot camp to motivate and guide them through practical basis principles of becoming a successful entrepreneur. Really nice a concept. How do you know participants would warm up to it, going by the nature of the industry? The industry is very robust and trendy and such a platform happening in Africa is not only going to be a game changer, but rather disruptive. Already,we have got Tech founders all over Africa and Africans in Diaspora registering on the Portal. Can you shed light on the methodology, so participants can have an idea on what to expect? As I said, it’s a Pitching and Training academy, 24 hours Live show project for Tech founders all over Africa. Twenty five cohorts will be admitted into the bootcamp for 60 days and as usual, they will be drilled to test their behavioral tendencies, leadership, celebroa, analytical and managerial pro activeness. The whole idea is to prepare them for real life hustle as entrepreneurs. There will be eviction of 10 cohorts, leaving 15 cohorts in the bootcamp to ascertain the 10 best and five runners up. The 10 best got opportunities, i.e. investment and incubation/ internship with world’s renowned Accelerators and Tech organization for a minimum period of one year, while the five runners up get investment and also incubation/internship for a minimum period of six months. With STREETCEOs, everybody is a winner. Suffice it to say the 10 evicted cohorts and the unsuccessful applicants still stand a chance to pitch and network with larger crowd of investors , tech companies, government and corporate organizations during the CEOs HANGOUT, a three-day EXHIBITION/NETWORK/PITCH event to climax the Grand Finale of STREETCEOs. Twenty five persons, 60 days and live reality shows with so much rewards for the winners and those to be evicted. This is capital intensive. Who are your sponsors and what are you expecting to make from the efforts? Sponsorship is drawn from both foreign and local partners. My gains exceed financial gratification as my sole focus is acceleration of the Africa’s Ecosystem through the Africa’s Startup Nation Revolution. Africa got the talents to cause global disruptive. The ones happening are not 24-hour exercise that got master classes and other segments. To add to it, other reality TV Shows, most especially in Nigeria, are not bent on helping startups grow. Instead, they exploit and in most cases, they don’t meet their end of the bargain. Ours is unique because we work in three dimensional, i.e build, integrate and sustain. For sometime in Nigeria we’ve not had any reality show. What can you say is responsible? They’ve been series of reality TV shows but the popular Big Brother Niaja has been aired for the second time now in South Africa and the major reason is the epileptic power supply in Nigeria which is highly capital intensive to run and not only the media industry, but all sectors.Mind you, no country can develop without power infrastructure in place. How do you advise the organisers of reality shows in Nigeria ? The ecosystem in Nigeria doesn’t favor businesses, for there’s no proper structure that supports businesses. Say for instance, the banking system we run in this country is an exploitation type that doesn’t give value. Not left out is the government that pays lip service to programs that are melted for youth empowerment etc. They should think global for that is the only template to standout. Lastly, advise the government on best way to support start-ups in Africa’s largest economy which should be a global model. You cannot empower youths through loans that are still accessed with funds. Secondly enough of talk shop and work out the Talk. We got good policies, to be candid, our problem is implementations. Charles Idonije is an evangelist for an aggressively developed Africa who believes only Africans can tell our story for in it is our strength and economic power for sustainable development. I am in the school of thought that the way forward to achieving an Africa of our dream is through Technology, i.e. setting up a seamless platforms for all of our natural endowment and human capacity.Africa has got to think and act SMART. 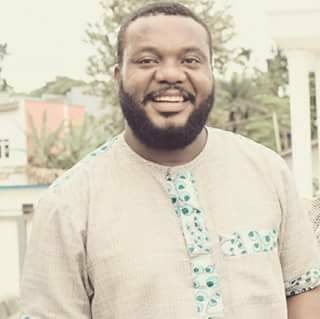 I am the founder of COBAI :www.cobai.com.ng, Africa’s largest Agriculture social network that connects Africa to the world in the Agro space.